Many of the powers exercised by the police – including the power of stop and search – may impinge on an individual’s human rights if not exercised carefully. PACE - or the Police and Criminal Evidence Act 1984 – is a single piece of UK legislation which governs many of the activities of the police, and other organisations, in the exercise of the powers they use to investigate and combat crime. The principal behind the introduction of PACE was to balance the powers of the police against the rights and freedoms of the individual. PACE contains codes of practice describing how the police should behave when exercising their powers. The power of stop and search can be used by the police to clarify whether an individual may be guilty of an offence without first having to arrest that person. 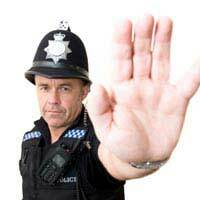 The exercise of the police’s powers of stop and search are governed by Code A of PACE. As PACE was originally drafted, the power of stop and search was only usually exercisable in situations where the police had reasonable grounds for suspecting that an individual was guilty of an offence. Under equality laws, the PACE power of stop and search should not be exercised in a way that discriminates against an individual on the basis of their race or nationality. The Terrorism Act 2000 was introduced to give the UK’s police forces greater powers to combat the threat posed by terrorists. This Act gives the police wider powers in situations where there may be the threat of terrorism. There was immediately concern about the impact the Terrorism Act could have on an individual’s human rights. Section 44 of the Terrorism Act proved to be particularly controversial. Under this section the police could stop and search an individual without having reasonable grounds for suspicion. The power to stop and search under section 44 of the Terrorism Act was intended to be used in a defined geographic area in which there was the threat of terrorism. The police could use the section 44 power to search individuals or vehicles within that area and to seize any item which could be used in connection with terrorism. The wider powers of stop and search contained in the Terrorism Act were immediately criticised as being contrary to the right of an individual to respect for private life under Article 8 of the European Convention on Human Rights. Article 8 was brought into law in the UK when the Human Rights Act 1998 came into force in October 2000. Observers argued that the new powers of stop and search were not only being used to combat acts of terrorism but also against individuals who, for example, were exercising their rights to protest. It is believed that, after the new powers were introduced, there was a substantial increase in the numbers being stopped and searched. Further, the members of some ethnic groups – including members of the black and Asian communities - were far more likely to be stopped and searched than those of white origin. In January 2010 the European Court of Human Rights handed down a judgment regarding the use of the stop and search powers contained in section 44 of the Terrorism Act. The case related to two individuals who were stopped and searched – and who had items seized – by the police at or near a protest against an arms fair being held at an exhibition centre in London. The European Court of Human Rights held that the powers of stop and search in the Terrorism Act were far too wide and were, therefore, open to abuse. As a consequence the section 44 power breached the right to respect for private life. It was ordered that the two individuals should be paid £500 each as compensation for the breach of their human rights. In June 2010 an appeal by the UK government against the decision on section 44 was rejected by the European Court. In July 2010 the UK’s Home Secretary announced that the stop and search powers contained in section 44 of the Terrorism Act were to be amended so that they should only be used where there was a reasonable suspicion that an individual was a terrorist. Later that month it was announced that a government review was to be conducted into anti-terrorism laws – including the controversial power of stop and search.